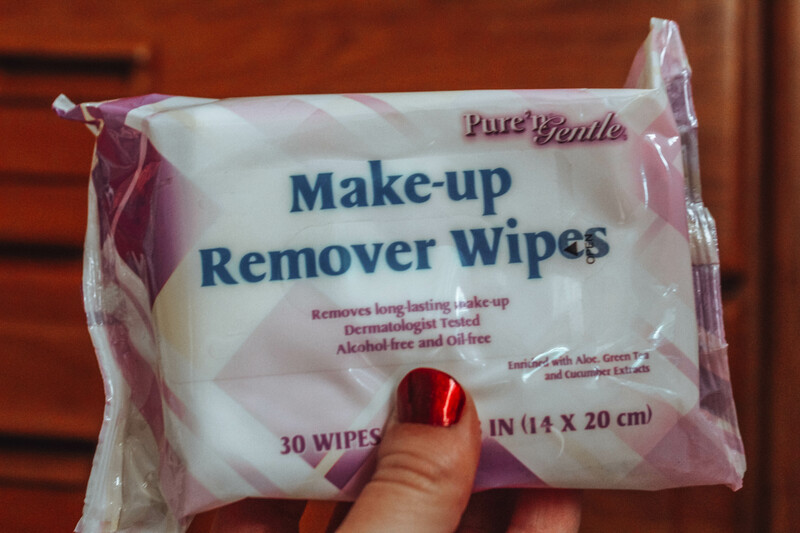 When I travel I never take a whole lot of beauty items. Keeping my packing light and my products simple saves me a lot of stress from hauling more things around than I need. Here are my top pics for things I alway carry around while traveling. As a curly headed gal I need something to calm the mane. Leavin-in-conditioner helps keep my hair from getting too dry. Even if you have straight hair leave-in-conditioner can help hair maintain its shine. 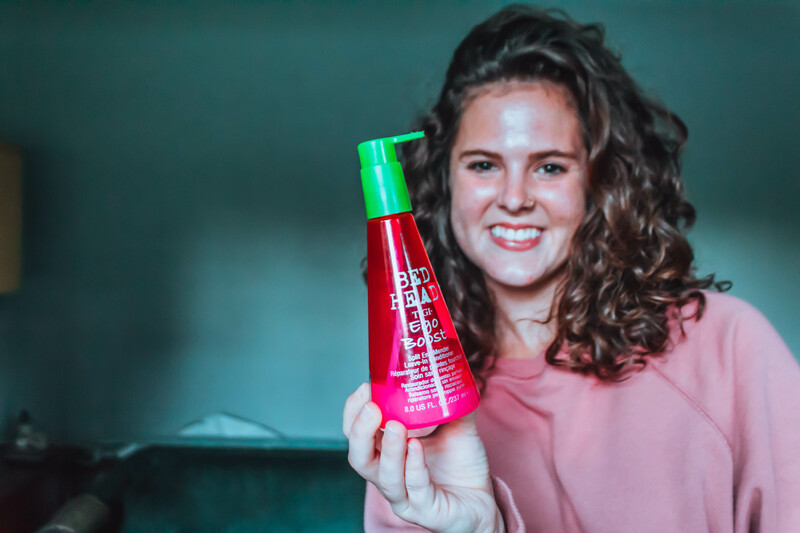 I love Bed Head’s version of leave-in-conditioner because it is really light. Other products leave my hair sticky and stiff. I usually buy mine at TJ-Maxx because it is usually cheaper, but you can also get it at Target or Walmart. Bed Head Ego Boost is the beauty leave-in-conditioner I have yet to find. When I am out and about in public, or planning on taking lots of pictures I will probably wear makeup. I never go to bed with makeup, because if I did it would guarantee I would wake up with a blemish on my face. What is even better, is that these bad boys are only $0.99 at your local Walmart. A little bit of mascara is the majority of the eye-makeup I put on. I always use waterproof in case I get caught in the rain or get really sweaty. Regular mascara ends up all over my face. 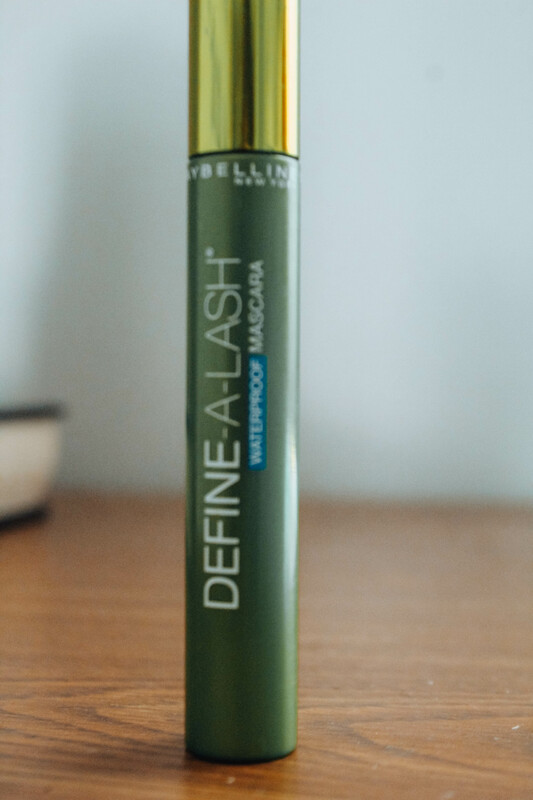 I really like this brand of mascara, and have been using it for years. Find your best tinted moisturizer HERE. 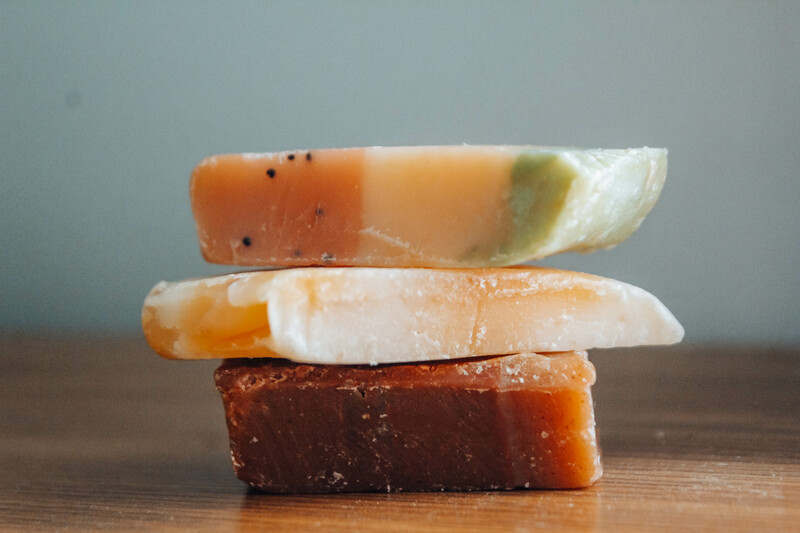 Homemade organic bar soap is an underrated beauty product if I have ever heard of one. They are easy to pack and typically last long time. My hair tends to get split ends easily. This helps keep my hair healthy and strong. 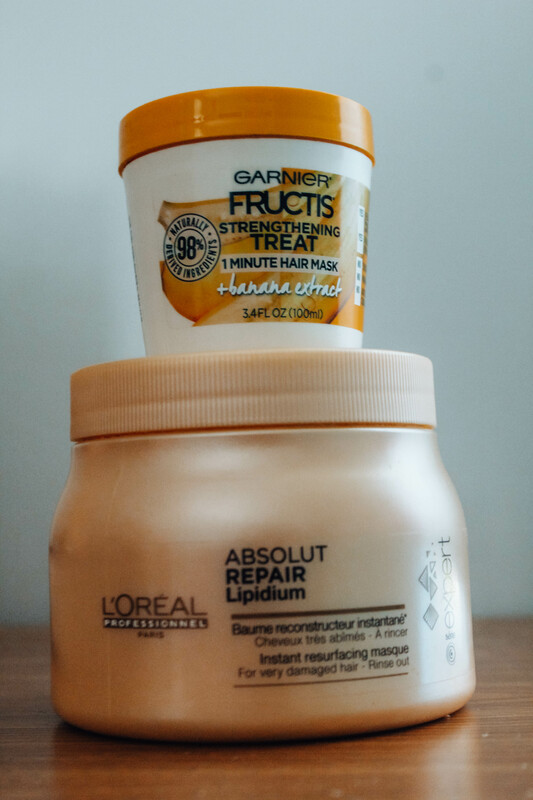 I use two different kinds, and I have seen significant improvements on the ends of my hair. I never know when I might need a little freshing’in up. Flight delays. Long hikes. When traveling there not always a direct home to go to. Carrying things like deoterant help me not feel so gross if it is going to be a while before I can get in a shower. EOS has been my favorite chapstick for a long time. Burt’s Bees is a close second. During cold month, or if my lips get sunburned I will be in desperate need of some balm on my lips. Another favorite of my is Burts Bees. I especially liked the colored ones. It makes me look like I am wearing lipstick, but it is smooth like lip balm. Mary Kay has a great line of products for acne-prone skin like mine. 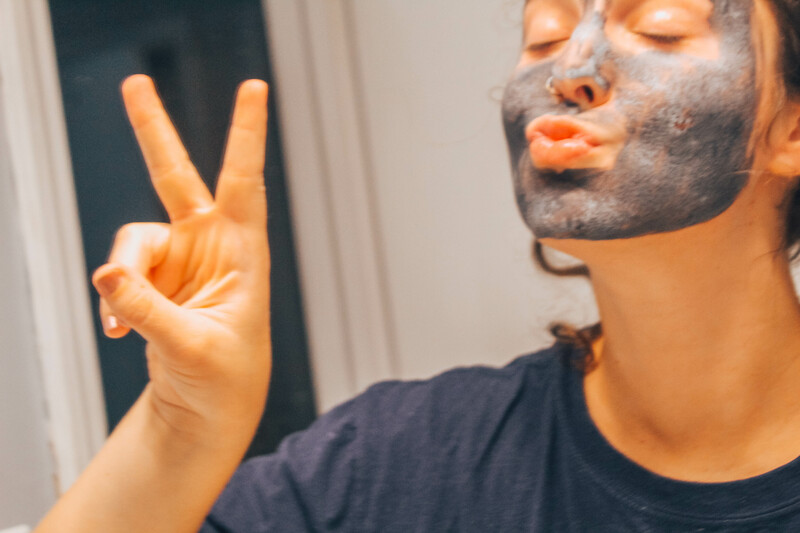 Their clear-poor charcoal mask is a go-to of mine. I made the mistake of buying peel off charcoal masks that are glue-infused. These masks tore my skin and made my pore bigger. The Mary Kay mask cleans out my pores, and then I just wash it off. They come in travel sizes, but I have the regular size. It is especially refreshing after a long day hiking, or walking around a city. If you are interested I love love love buying my Mary Kay products from my good friend Cate. 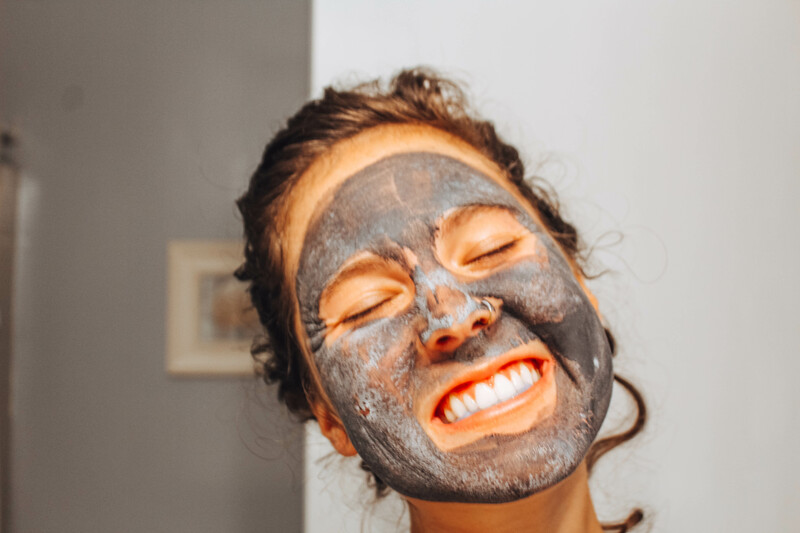 You can purchase a face mask from her by clicking HERE. On the road I never know exactly how much time I have. Typically I only wash my hair a couple times a week but sometimes I after a couple days need a to expunge some oil at my roots. This is especially good for people with oily hair. 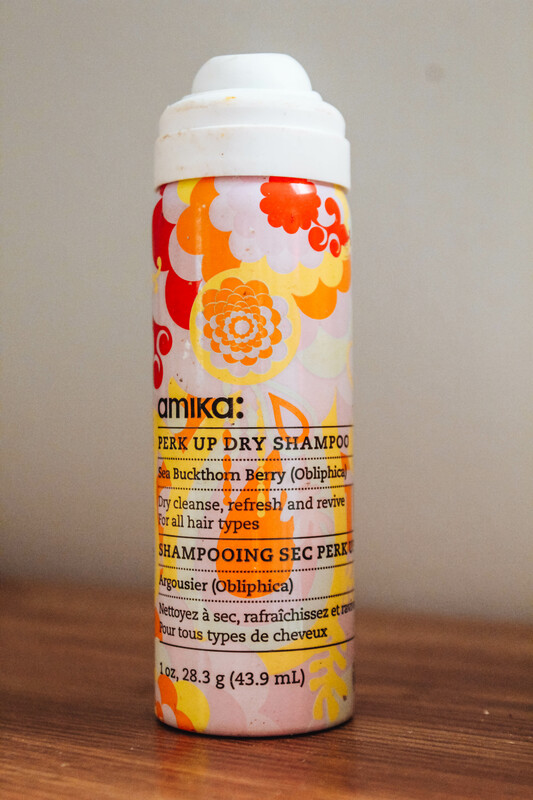 I have dry hair, since it is super curly but I still use this as one of my go-to products.